Big Joe is a lineman for the telephone company. Angel is a teenage migrant worker. They form an unlikely alliance and start a rose-growing business. At first wary of each other, they grow to trust and like one another. Eventually, Angel must leave the area when his father relocates the family in search of migrant work. This touching little film won an Oscar for Best Live Action Short. 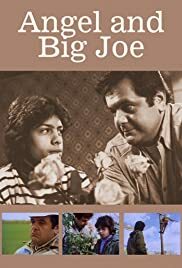 Bert Salzman's Academy Award-winning "Angel and Big Joe" tells the story of a friendship between a migrant boy and an electrician who has greater ambitions. It's a look at those on the fringes of society and how they try to relate to each other. Both of them have stories: Angel about how his family has to move around, and Joe about how he dropped out of school to work in the mines because he assumed that it was best for his family. Paul Sorvino plays Joe. I don't know how famous he was when this got released, but he does a fine job, as he has in every role (he later starred in "Nixon" and "Romeo + Juliet"). This short isn't a masterpiece, but I recommend it. As for Salzman, I don't know whether or not he directed any other movies. He died last year at the age of 85.